Sony Music is proud to announce the debut album release from Bradley Walsh, ‘Chasing Dreams’. The actor, presenter and comedian has recorded a collection of his favourite songs, to be released on November 25th. 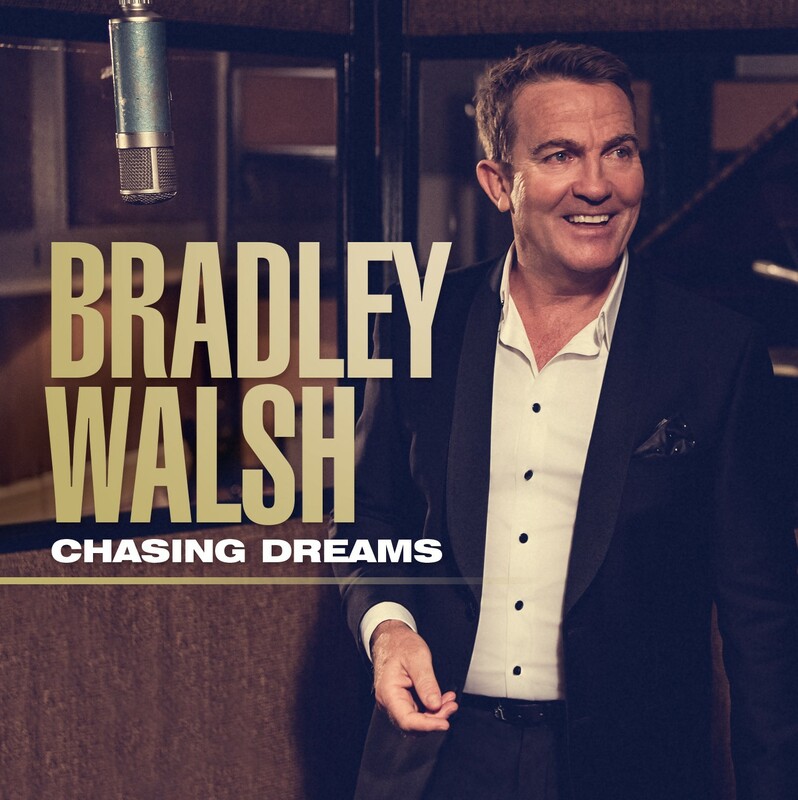 Highlighting another of his talents, Bradley also co-wrote the title track, ‘Chasing Dreams’, a track that nods to the work of the legends of the genre. As well as presenting, Bradley is an accomplished dramatic and comedic actor. Bradley played the lead role, Detective Sergeant Ronnie Brookes, in ITV’s hugely successful series ‘Law & Order: UK’. Broadcast in 18 countries and hitting audience ratings of almost 7 million at its peak in the UK, it is a constant hit with audiences. Take That, Stevie Wonder and Seal to Michael Bublé, Paul McCartney, Amy Winehouse and of course Robbie Williams.